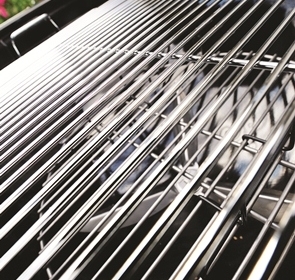 Ovenclean Blog | Which is the Best barbecue, Gas or charcoal? We can never truly say that barbecue season has arrived, as in the UK we have such unpredictable weather. BUT… in between showers, the weather forecasters are saying that all is not lost. So why not check the forecast, plan ahead, and make the most of the opportunity to entertain outside? 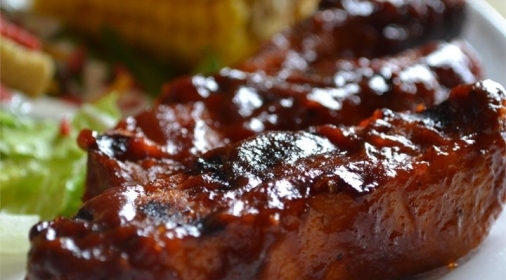 If you’re planning a BBQ, the eternal question is what really is best the best barbeque method? Are you a traditionalist who loves to use charcoal. Or do you go for the convenience of cooking with gas? Below, we examine the pros and cons of each. Your food will definitely have an authentic ‘barbecue’ flavour. The combination of heat, charcoal and smoke will flavour your food in a way that just can’t be imitated. It’s also an ideal way to get all the men bonding. It’s not sexist to say that guys genuinely do like hanging around a fire, beer in hand. Girls – take advantage of the break, sit back and let the men do the work. Above all else – it has to be the smoke! If your barbie is sited near the neighbour’s boundary wall – be courteous and just let them know you’ll be lighting up soon. This avoids arguments and bad feeling – especially if they’ve got a line of washing out to dry. Charcoal can also take quite a long time to heat up. Put the coals on well before you want to start cooking. Let them ‘burn off’ down to a glow. This way the heat is more gently applied, (rather than a roaring flame), which means the food will be cooked through, rather than being burnt on the outside and still raw inside. As a final thought, you do have to stay attentive with live fire, for two reasons. One is that food can suddenly become very burnt. And the second one is that there is always a fire risk if you don’t keep an eye on things. The sheer convenience. Just switch on and there’s the heat. Another great thing is the storage… Gas doesn’t spoil if it sits there for a while, unlike charcoal, which needs to be stored somewhere away from damp. The size of the barbies! Most of them are huge – and of course – you need somewhere to store them. Failing that – make sure you buy one that won’t rust. Also, it’s really not that romantic switching on what is essentially, a gas cooker. You may as well be cooking indoors on the conventional one. The ‘what is the best barbecue’ debate is probably one that could run and run, but ultimately it’s your choice. And if you just can’t decide – do both! Perhaps the ‘smoker’ bbq for a planned event, when you know people are coming. And a gas Barbie for spur-of-the-moment events – just wheel it out and off you go. Sorted!